Keen on playing Tennis this year and all year? At Cosy Dell, we welcome players of all abilities from competitive tennis to weekly social hitting groups. Astrograss tennis courts. We cater for all playing abilities fielding a large number of teams playing competitive interclub tennis on Saturday afternoons as well as organised tennis on Tuesday and Thursday mornings and Sunday afternoon all year round and Monday club evenings during the summer. (off the top of Regent Street). 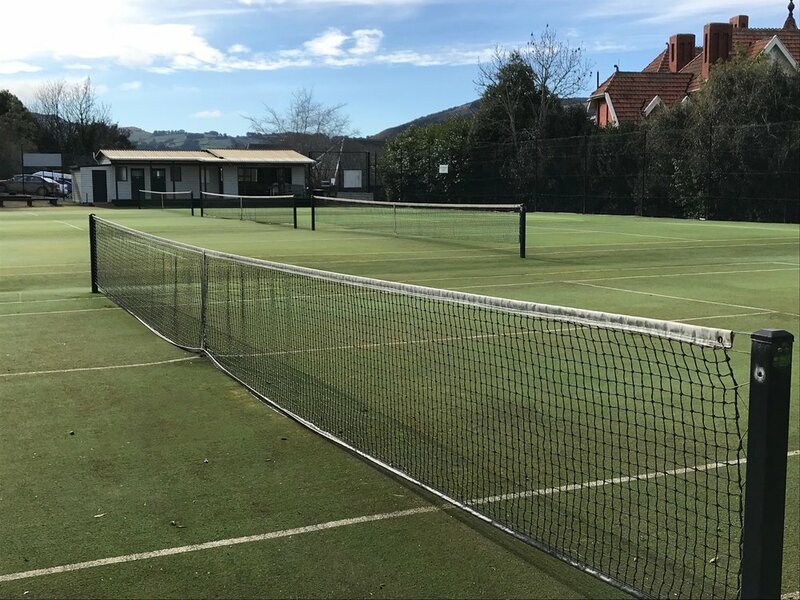 For a competitive subscription, Club Members (with a key) are able to play tennis and use the club house at their leisure any time of the day, all year round (weather permitting of course). At Cosy Dell, we offer fun tennis, social events, coaching and club visits throughout the year. Cosy Dell has four well-maintained Astrograss tennis courts for outdoor tennis all year round as well as a welcoming clubhouse and deck overlooking the courts and surrounded by native birds and bush. You can play competitive interclub tennis at the weekend on Saturday afternoons and organised tennis during the week on Tuesday and Thursday mornings as well as Sunday afternoons all year round and Monday evenings during the summer. If you have an enquiry or are keen on joining our club, please don't hesitate to get in touch! Thanks for the message. We will be in touch shortly!